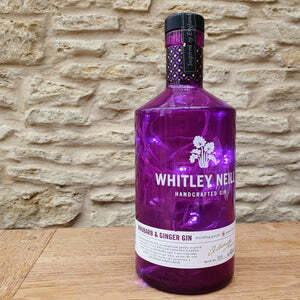 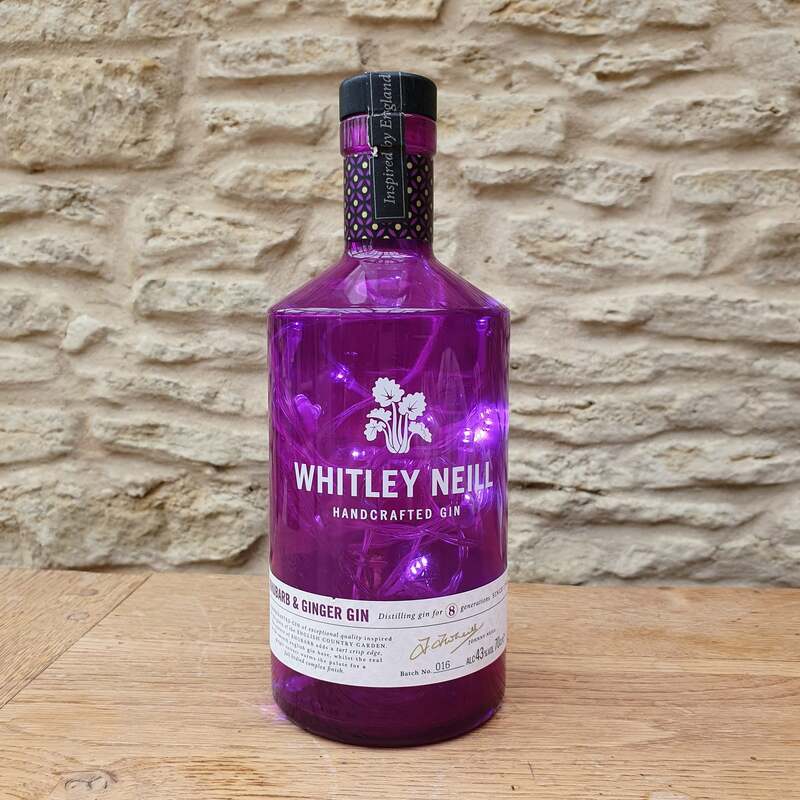 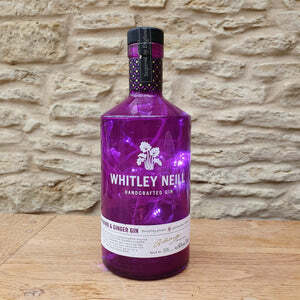 Purple Glass Whitley Neil empty (we had to flag that!) 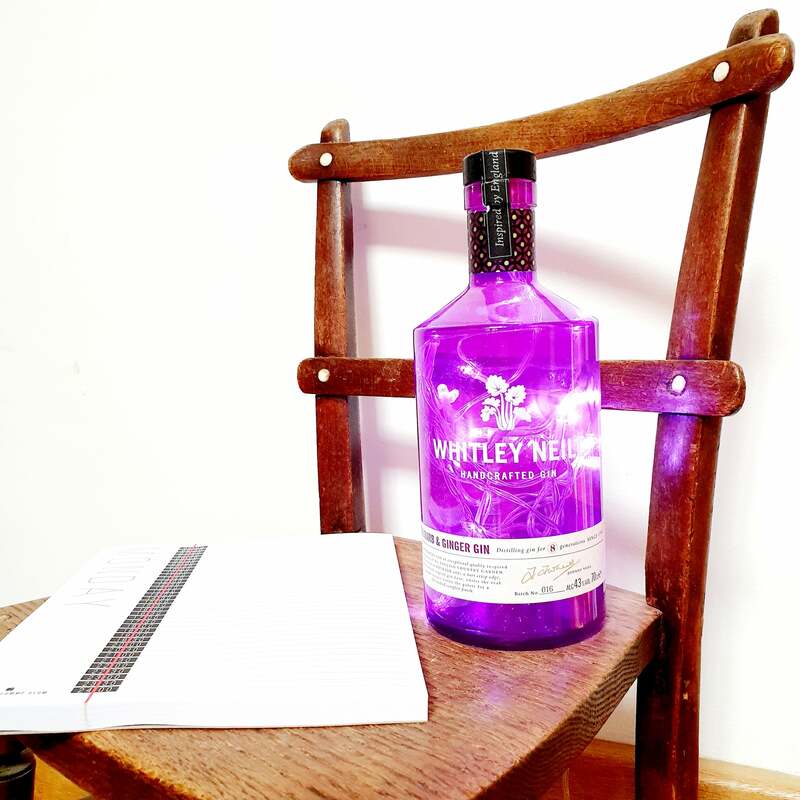 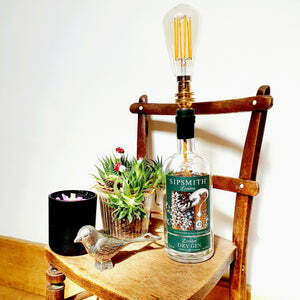 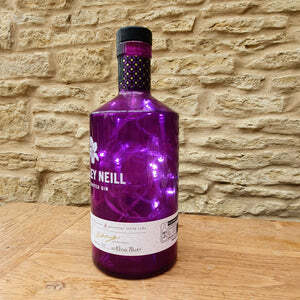 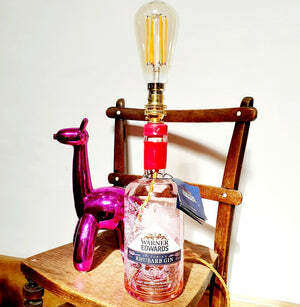 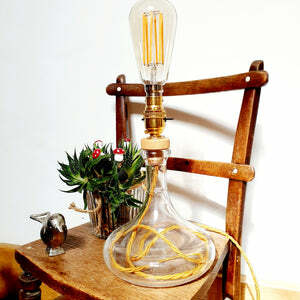 Gin bottle made into a cool, statement fairy light stand alone lamp. 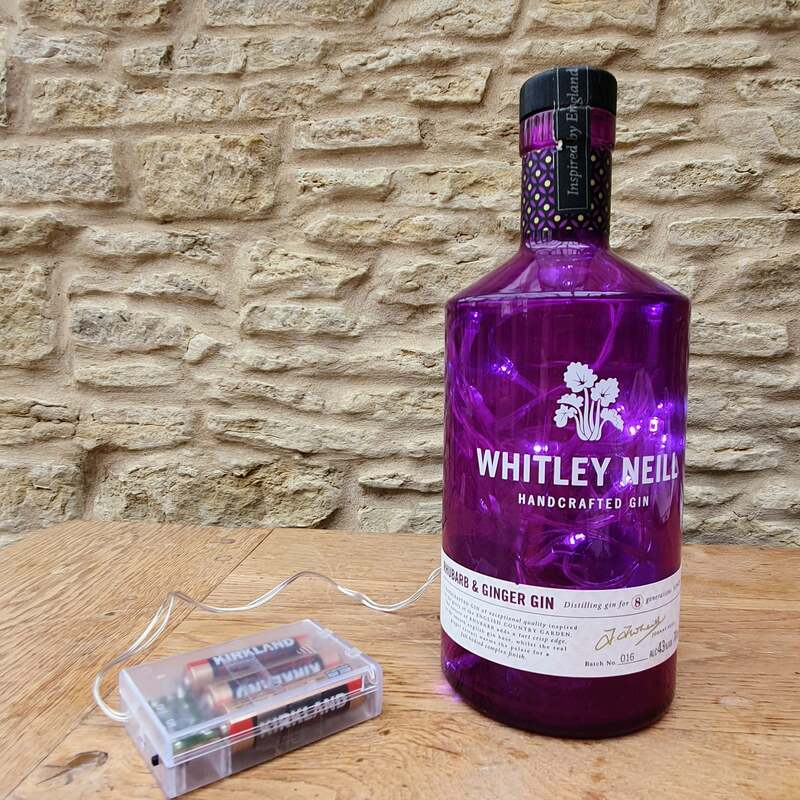 Contains a battery pack and no plug - so can be positioned anywhere in the home. 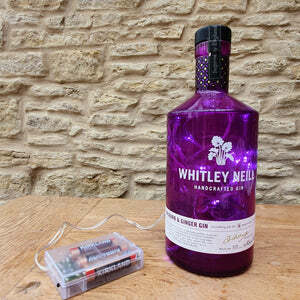 Cord can be made shorter or longer so battery pack does not need to show.